This weekend at Bramall Lane a team will take to the hallowed turf in a Championship fixture wearing a special kit, with the shirt emblazoned with the words "Homophobia: Tackle it!". That team will be Sheffield Eagles Rugby League team, when they take on Widnes Vikings on Sunday afternoon in the Co-Operative Championship. I've seen little mention of this initiative outside of local media and rugby league circles, but in wearing the shirts, the Eagles have become the first sporting club in the country to make such a statement in this way. For one match only the club will wear a special kit sponsored by LGBT History Month and Pride Sports and is a key part of the Rugby Football League’s celebrations of LGBT History Month, which began on February 1. The club is reliant on the support of a core of local businesses whose corporate support is vital to ensure the continued existence on the back of meagre matchday support. The closeness of the corporate circle supporting the club probably allows them to make this kind of decision more easily than some of the traditionally bigger clubs with different kinds of club/sponsor relationship, probably more akin to football teams. In fact it was after director Chris Nobile attended an LGBT workshop at the RFL Equality and Diversity conference for clubs that the initiative was undertaken and follows a number of recent groundbreaking achievements by Rugby League including being in the Stonewall Top 100 Workplace Index, becoming the first sports organisation ever to be named as a leading LGBT friendly employer, an accolade that followed Gareth Thomas’s recognition as the 2010 Stonewall LGBT Hero of The Year. The RFL also recently became the first sports organisation ever to launch a match day Tackle It! ‘Textline’ service for fans at all professional and semi-professional clubs. But unless the national media really pick up on this, where can this really benefit the cause and what does it do for the Eagles? The corporate financial support given extends to projects to push Rugby League into local schools, something the Eagles have been hugely impressive with and vital in establishing a foothold in the hearts and minds of local people. Maybe it is here, pushing the message that such behaviour is unacceptable, that it could really start to have an impact, rather than promoting it to a thousand or so people scattered around Bramall Lane. There has also been a decision made to sell the special kit, although the market for such merchandise is much more limited than football. Maybe the real benefit is in other clubs, seeing the Rugby Football League (RFL) support for the initiative, will follow suit. A Super League team, wearing such a message in a Sky covered fixture would certainly have more impact. It will be interesting to see how this story develops in the next couple of days. Credit to the Eagles for taking this stance, I hope it gets the wider publicity it deserves. But it also got me thinking, would we ever see such a move by a football club? Clubs have been happy to promote charities through special shirts (pink shirts for breast cancer awareness being the obvious example), but also full shirt sponsorship at the expense of commercial sponsorship (Sheffield Wednesday - The Childrens' Hospital, Aston Villa - Acorns) or one off promotion of a charity for a single match at the expense of and with the agreement of the existing sponsor (Sheffield United adopted The Childrens' Hospital in the Sheffield Derby last year). Outside of charitable causes, the highly successful "Let's Kick Racism out of Football" campaign has often been promoted by clubs on specific matchdays and it has in some cases replaced the club's sponsor on the shirts. The campain includes reference to homophobia but it's not explicit in its name. 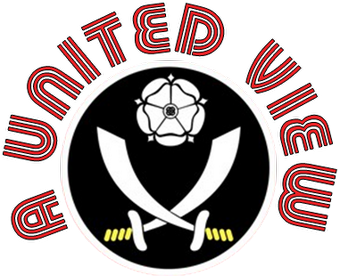 In addition with local initiatives, such as the Football Unites Racism Divides and the United Initiative at Sheffield United, the clubs are happy to promote football as a way of encouraging social/racial inclusion in local communities. Yet homophobia is something football is finding as hard to tackle as Lionel Messi. Why? Many bloggers have written about the issue before and probably more eloquently than I can. I refer you to twohundredpercent here and IBWM /Obscure Football here. The fact remains that Football V Homophobia organised by the hard working The Justin Campaign received little widespread publicity on Football v Homophobia Day last month, not least from the clubs themselves. Two years ago Stonewall claimed that football is "institutionally homophobic", one year on in February last year, the PFA claimed that players had refused to appear in a campaign video against homophobia for fear of ridicule. What makes them any different to Rugby players in that respect? Public profile maybe? After all Max Clifford has claimed that he would advise a young player against coming out due to the impact on his career. Anton Hysen's announcement that he was gay this week caused ripples in certain UK papers, maybe more so because he is the son of former Liverpool defender Glenn, but headlines like FOOTBALL GAY "OUT" in the ever forward thinking Daily Star (over 1.5 million readers) perhaps emphasises Clifford's point. If players from separate clubs brought together are not willing to support the cause, surely there is a better chance of doing it as a team? What the Eagles have done works because it has a whole team behind it. Challenge the message, you are challenging the whole squad and not individuals. A sad state of affairs maybe, but a way of taking it forward. Hopefully mentioning what the Eagles are doing will give it wider publicity, but will a football club be next to take up the mantle? Excellent piece Ian - there is no reason at all why there shouldn't be a national awareness day akin to the Kick It Out ones - possibly time to start lobbying for one?